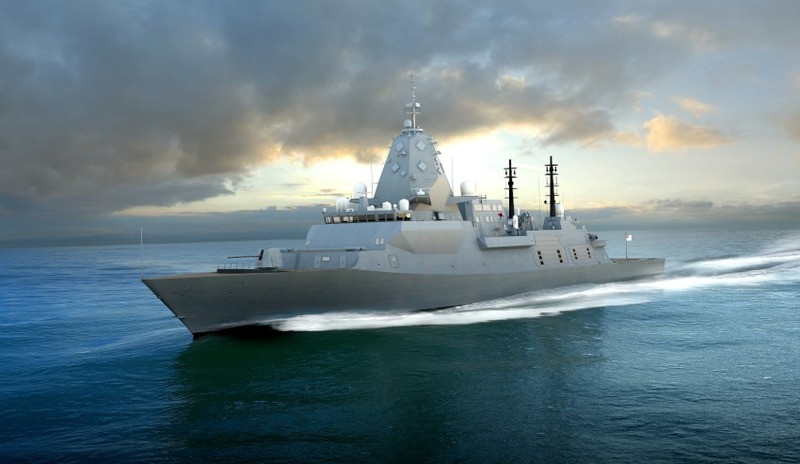 BAE Systems has been selected by the Australian Government as the preferred tenderer to deliver nine Future Frigates for the Royal Australian Navy as part of the SEA 5000 program. The project, valued at $35 billion, will see BAE construct nine Type 26 Global Combat Ships in Adelaide using Australian workforce and suppliers from every state and territory. The new vessels, to be called the Hunter class, will be built by ASC Shipbuilding at the Osborne Naval Shipyard, with production to commence in 2020. The project is expected to create and sustain at least 5,000 highly skilled jobs and a boost to the nation’s manufacturing industry. BAE Systems Chief Executive, Charles Woodburn, said the announcement reinforces the company’s position as a leading designer and builder of complex maritime platforms. “I am proud that our world class anti-submarine warfare design and our approach to transferring technology and skills to the nations in which we work is expected to contribute to the development of an enduring world-class naval shipbuilding industry in Australia,” Mr Woodburn added. BAE Systems Australia Chief Executive, Gabby Costigan, said the company is committed to creating a strong, sustainable and innovative naval shipbuilding industry that will see highly skilled Australians building and sustaining warships for the Royal Australian Navy. “Construction of the Global Combat Ship – Australia is expected to make a significant contribution to the nation’s economy, creating thousands of jobs, supporting new industries and boosting the national supply chain for decades to come,” Mr Costigan continued.